Aachman Regency provides beautiful, modern rooms in Simla, about 5 km from Ghowra Chowki. It has a restaurant, a tour desk and provides free Wi-Fi in the entire property. The rooms at Regency Aachman are fully air conditioned and fitted with fine beddings. They have satellite TV, a minibar and a writing desk. 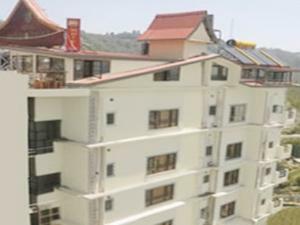 The hotel is about 33 km from Shimla Domestic Airport and 4 km from Shimla Railway Station. The Shimla Bus Station is about 1.5 km away. The restaurant serves a selection of Indian, Chinese and European dishes. Room service is available. The hotel also has a 24-hour front desk and offers currency exchange, laundry and dry cleaning services. The tour desk helps guests organise excursions to tourist attractions. Free! All children under 5 years stay free of charge when using existing beds. One older child or adult is charged INR 800 per night and person in an extra bed. Maximum capacity of extra beds in a room is 1. There is no capacity for cots in the room. Any type of extra bed or child's cot/crib is upon request and needs to be confirmed by the hotel. Supplements will not be calculated automatically in the total costs and have to be paid separately in the hotel.